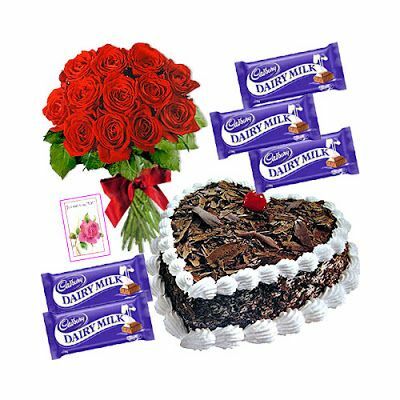 Surprise your near ones with beautiful 12 Red roses bunch, Delicious Blackforest heart shaped cake with choice of flavor 24 cadbaury dairy milk chocolates (6 gms). 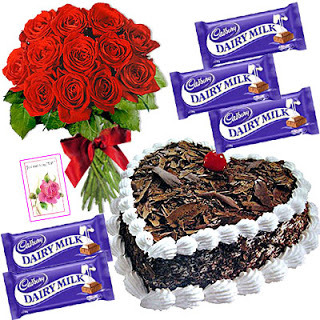 Cake is of wonderful flavour which no one wants to miss this offer. It is really a Lovely Combo for who is near to your heart.